Well I don’t have any friends doing time or facing murder charges ! The story revolves around Australia and an doctor serving there in a penitentiary ! 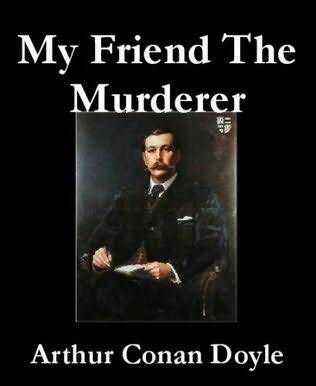 It’s not the usual Sherlock Holmes and Dr.Watson story-line but though the story contains the regular plots of A C Doyle. With limited recreation or any leisure activity in Perth, The Doctor had to stick to his daily routine of checking and treating prison inmates until when he meets prisoner number 43, who turns out to be the Queen’s evidence in the Bluemansdyke murders . Induced by the warder the doctor meets #43 Wolf Tone Maloney the notorious criminal who unravels the mystery behind ending up in prison despite being an Queen’s evidence . He’s tracked, man handled where ever he goes, even across Europe. Maloney gave a wild cry of triumph, which brought the blood welling out from between his lips. “Here, boys,” he gasped to the little group around him. “There’s money in my inside pocket. Damn the expense! Drinks round. There’s nothing mean about me. I’d drink with you, but I’m going. Give the Doc. my share, for he’s as good——” Here his head fell back with a thud, his eye glazed, and the soul of Wolf Tone Maloney, forger, convict, ranger, murderer, and Government peach, drifted away into the Great Unknown.